The red balloon DARPA challenge was an experiment by DARPA, the research agency for the department of defense, in discovering hard to find facts quickly. 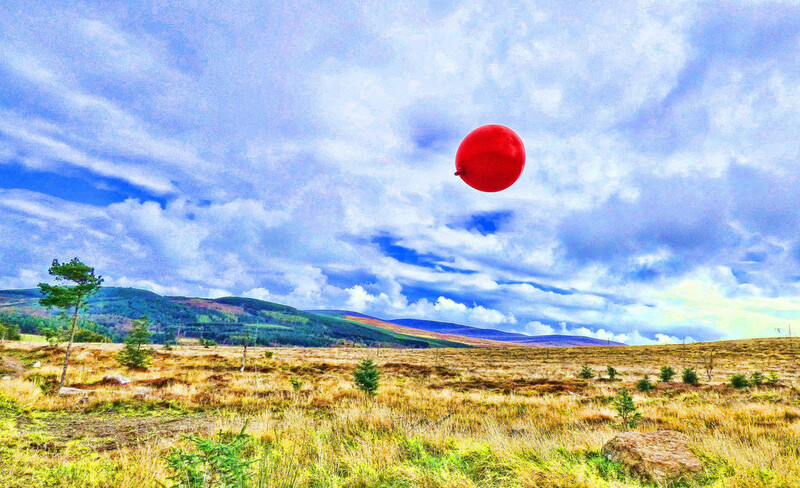 Ten different red balloons were scattered around the country near roads and highways, inflated at 10am and scheduled to be pulled down at 4pm. Multiple days were planned, as the judges expected it would take some time before a team could track them all down; however, the MIT team managed to find all ten on the first day. How did they manage that, with little to no prior information? They worked together. This incentive strategy effectively encouraged people to not only report back balloons they found, but to spread the message through their social networks and get others involved in the search. The MIT team started with four participants, but by the end had well over 5,000, from all around the world, and the invite tree was over 15 people deep. A direct, non-scaled reward would have deterred people from inviting others and spreading the word, which would have limited the pool of knowledge, so they instead used a recursive incentive strategy. They relied heavily on continuous engagement with their social networks. The incentive strategy helped to fuel continuous twitter and livestream information. A combination of manual verification and confirmation from multiple sources helped to reduce erroneous/fraudulent reports. Other teams adopted similar strategies and met with similar success. For instance, a single person, George Hotz, was able to locate eight balloons by leveraging his 50,000 person twitter social network. Many of these teams, including the MIT team, promised to donate percentages, or the whole sum, of the prize to charity. Why does this matter for would be medical detectives? Because these strategies, of working together and drawing from far flung people and contacts, are an effective way to participate in CrowdMed. You’re not limited to being a solo detective. There is no requirement that you and you alone brainstorm for possible solutions. The red balloon challenge proves that skills at coordinating, combining, and disseminating information can be as crucial as book learning when it comes to finding the right answer. Think Gladwell, not House. Even if you aren’t a PHD, you might know someone who is, and working with others allows you to leverage comparative advantage and specialization. Similar competitions have ecosystems marked by small teams. For instance Kaggle, a Data Science competition, encourages participants to buddy up and work together to share possible solutions and approaches. One would expect that a similar approach, applied to medical diagnosis, would work similarly well. Consider experimenting with distributed team building strategies like the ones employed by the MIT team. Form loose collectives to share information and learn. Offer incentives, such as percentages of a reward, to people who can provide material support. You can take this even further by emulating the recursive incentive strategy and offering percentages to anyone who can find a good source of information. Leverage your social networks, like Twitter or Facebook, or the old fashioned real life social network, to find similar patients and compare and contrast. Get a large base of potential answers, and separate the valuable advice from ‘hot air’ by looking for multiple confirmations from independent sources. Weak ties, the people you kind of know but aren’t super close with, are the best way to find new information (because close ties are likely to be exposed to the same things as you). Remember the value of non-monetary incentives. Recognition is a powerful motivator, as is altruism. There is an active and enthusiastic user base of CrowdMed detectives, as well as a lot of other communities with motivated participants, from whom you can draw. And a ready supply of active and eager smart medically minded individuals already exist, namely med students. Med students have already been shown to be some of the best at CrowdMed, and that’s only a small fraction of the number that are out there ready to be engaged by a smart team. It’s no surprise that a lot of the Red Balloon challenge teams were organized around universities — they are full of smart people looking for educational and high-impact challenges. Building distributed teams and organizations dedicated to collecting and analyzing this dispersed information, and applying it in these rigorous competitions, is the next step in medicine. And whether you’re tracking balloons or tracking down a diagnosis, working together is a smart strategy. Ben Goldhaber is an employee at Google and a Medical Detective for CrowdMed. To find out more about CrowdMed, click here. To become a Medical Detective, click here.